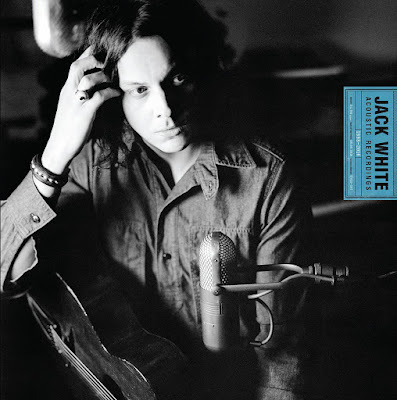 Third Man Records announced a Jack White acoustic collection will be released on September 9th. Jack White Acoustic Recordings 1998 - 2016 includes a massive helping of Jack White goodness -- album cuts, B-sides, remixes, alternate versions, and previously unreleased tracks spanning White's career beginning with the White Stripes. The 26 track collection includes a previously unreleased White Stripes song titled "City Lights" (originally intended for Get Behind Me Satan), plus a few alternate versions/remixed tracks from the White Stripes. White's music from the Cold Mountain soundtrack and Coca Cola are also included, along with an assortment of tracks from the Raconteurs and White's impressive solo career. All of the songs on Jack White Acoustic Recordings 1998 - 2016 were remastered earlier this year in Nashville. Jack White Acoustic Recordings 1998 - 2016 will be released as a double LP, double CD, and digital download September 9th. Pre-order here. Stream "City Lights" and view the tracklisting for the collection below.